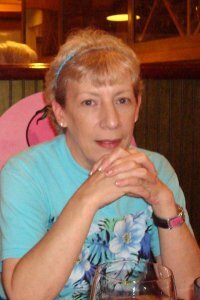 Hi – my name is Debi Yorston, but you may know me as Debi Y.
I learned to crochet back in high school (1977 or 1978) when my sister Teri taught me how to crochet the granny square. It didn’t stick with me then, but in 1982 when I was pregnant with my daughter Erica, I picked it back up again. Of course, my first project was a baby blankie, followed by 2 more. From there, I branched out to crocheting anything and everything. I absolutely love to crochet. My blog is ‘Dly’s Hooks and Yarns’ which I started back in January 2007. Stop by for a visit – I have lots of free patterns to share with you.